Right now my wife and I are stuck in the middle of another binge watching spree. We have been binge watching TV now for several years and by years I mean since we got married in 2010. With today’s busy schedules, with the fact that as a society you have to fit in things when you can fit them in and of course the fact that I don’t like being tied to a network schedule, is it really any wonder that binge watching TV is as popular as it is or that it has become the preferred method of consuming pop-culture. I don’t remember the first show that we binged. You would think, seeing as it has become part of our life, that I would remember but it has escaped me. I know one of the first shows was Buffy the Vampire Slayer. My wife, Laura, would never have gotten into this show without the ability to binge. We could dig into that three episode challenge (yes it works 7 Days a Geek podcast) and she was hooked or at least hooked enough to give it a season. 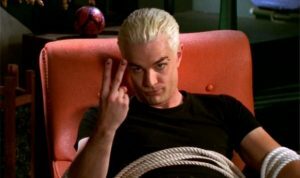 By the end of season one, even though it was a short season, she was ready to see what happened to the Scooby Gang, Slayerettes… Spike – that is the only reason any of us watched that show after season 2. We also dug into shows we had watched before like Friends. Friends was just as good the second… third… fourth… maybe fifth time through as it was when it was live. 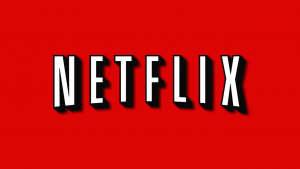 Netflix dropping Friends back into our lives was like visiting your neighbors – that lived across the hall – and maybe you swapped apartments at some point. I would have loved to have set down in college though and powered through an entire season of a show I loved as opposed to being tied to the schedule of the networks. Sometimes binge watching doesn’t work. NCIS is my example right now. Don’t get me wrong I love NCIS but you can’t watch three episodes a night. If you watch more than one in a row, you start to see how similar they are from time to time. How the jokes are almost always the same. How the characters lack a little depth. Tony is funny and endearing and you love him on the show but when you see him making the same sexist grab, week after week for a month’s worth of shows but crammed into one night, over four hours – something about it doesn’t work for me. Love the show but it doesn’t play for me when condensed like this. Now, being able to take in Abby for four hours, that is a different story. Criminal Minds is the exact opposite for us. You would think one procedural would behave like any other in the binge watching scenario. To be honest though, Laura and I have cut through an entire season of Criminal Minds in a week. Trust me, this one works. The Walking Dead is the same way. If it was not for my want to be current with that one show – something I don’t care about with any other show that I watch, I would wait to binge watch it as well. In fact I usually binge watch the previous season before the new one drops. Unfortunately, with TWD you have to make sure you are current so that you don’t end up getting something spoiled (this is the only time Spoilers will not be damned). Right now, we are binge-ing Mad Men. Really an excellent show. Well performed, great costuming and design and the story is quite good. Binge watching is working really well with Don Draper and company. With 13 episode seasons, we are knocking out a season a week more or less. The only drawback is that you run out of show quickly. I really want to know what is going to happen to Don Draper, hoping the Peggy come sout on top in the end and really hoping to see Betty Draper get hers, but I am going to miss him and the rest of the cast when we are done with season 7.